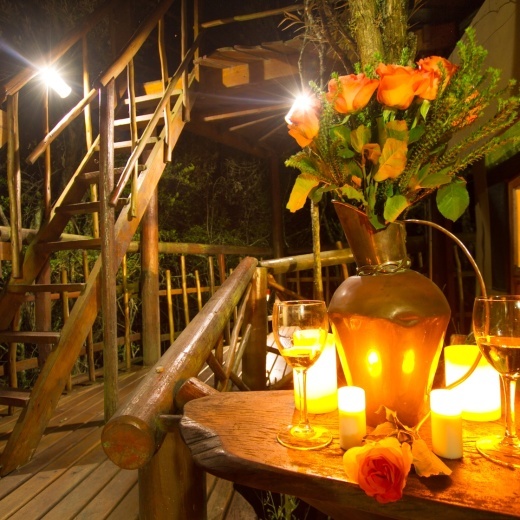 Each honeymoon tree house is unique, romantic and really special. They all have stunning views, large romantic baths, cosy tented bedrooms, handcrafted and antique furniture. Over peak season, full payment is required up-front and cancellations are only refunded less 10% if they are made more than 45 days in advance.